Wow a 4k camera on a waterproof drone that is some high level gear there. 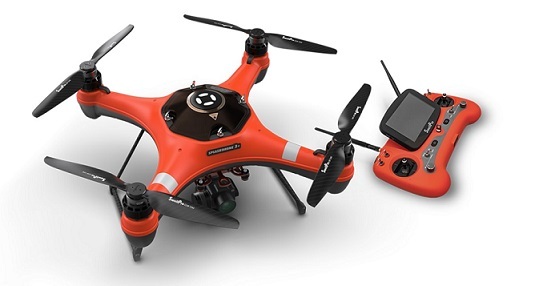 I am keen to buy one of these but my local drone supplier said their supplier wont stock them as they have issues… I can find no bad reviews anywhere on the net for the new version. I’m wondering if anyone has heard anything negative yet about the new model? 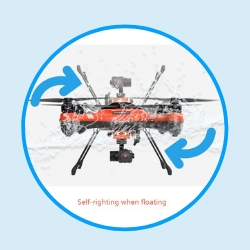 I would hold off for more reviews on the Splash drone 3. I own the Splash drone Auto (white) and it had quite a few un-refined aspects that led to issues. Mostly gps stability issues but also a bad operator manual that led to rough water landing uncertainty. If landing on choppy water, use the emergency motor cut function or blads may chop water aggressively. Lost two props this way. Gps stability is now greatly improved with new top cover.